“Many of the earth’s habitats, animals, plants, insects, and even micro-organisms that we know as rare may not be known at all by future generations.” This is one of the reminders from His Holiness The Dalai Lama that extinction, sadly, is irreversible. The species that have died out, been lost to our world, can never be resurrected. 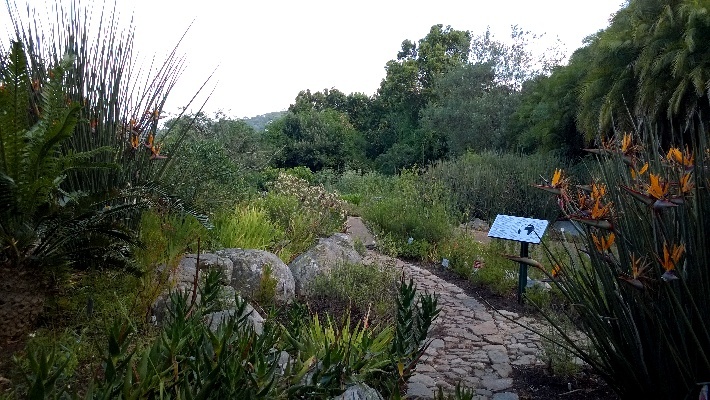 With exactly this conservation crisis in mind, Kirstenbosch National Botanical Gardens in Cape Town South Africa devotes a prime spot to its Garden of Extinction, displaying a selection of the about 1500 endemic South African plants that, alarmingly, may soon be extinct in the wild. 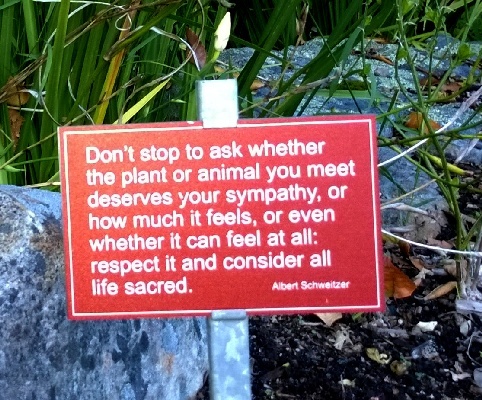 Storyboards in the Garden of Extinction offer insights into the causes of extinction and the remedial steps we can take. 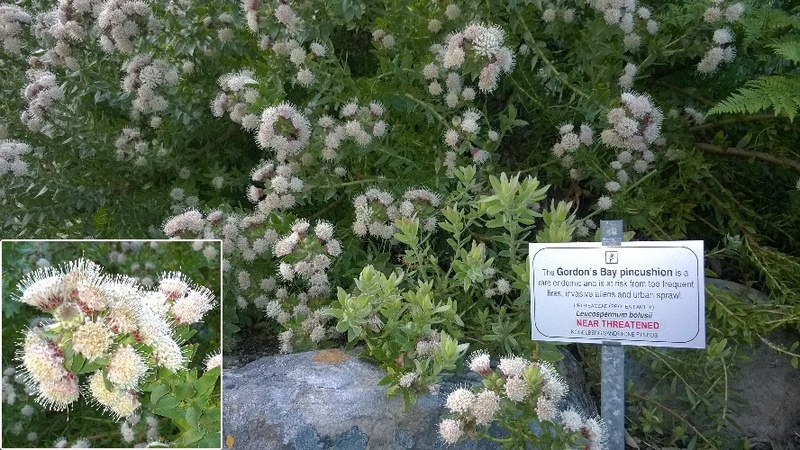 Each plant is labelled, describing its current conservation status and what threatens it. 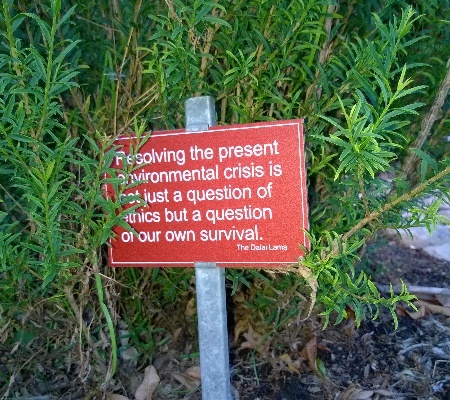 Interspersed throughout the garden are little waymarks of wisdom – red boards that invite us contemplate the sad truths of extinction, and call us to reawaken our care for the natural world. 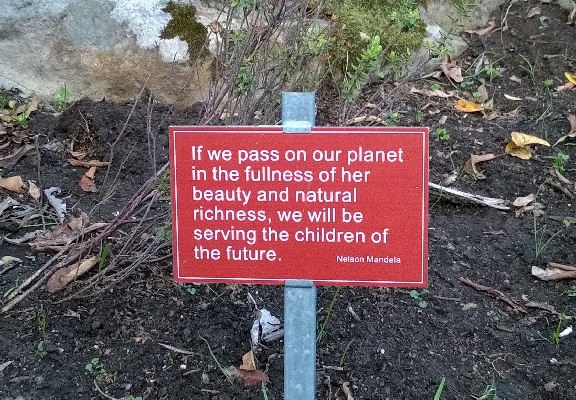 There is one spot in the garden that is particularly moving. A patch of earth displays the boards of several already-extinct species. 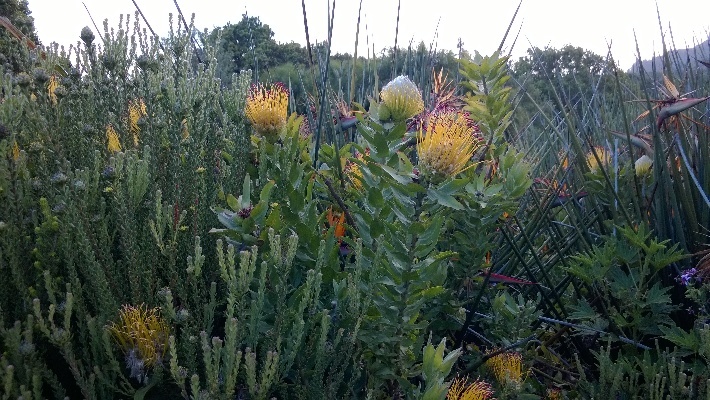 The boards stand without exhibits, on a spot grown over with weeds. Nothing could speak more powerfully of the consequences of our neglect and disinterest. 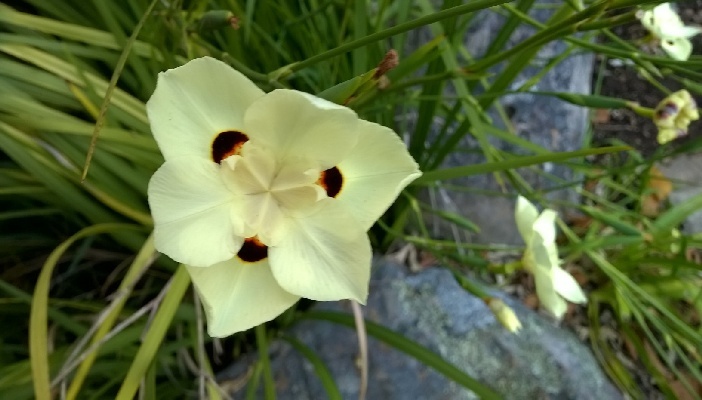 Interesting is that the yellow wild iris, not an unfamiliar sight in our gardens, is also endangered. 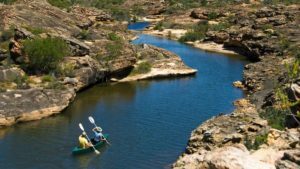 Even though it falls into the category of “Least Concerned”, its place in the wild is nevertheless threatened by the encroachment of coastal development. 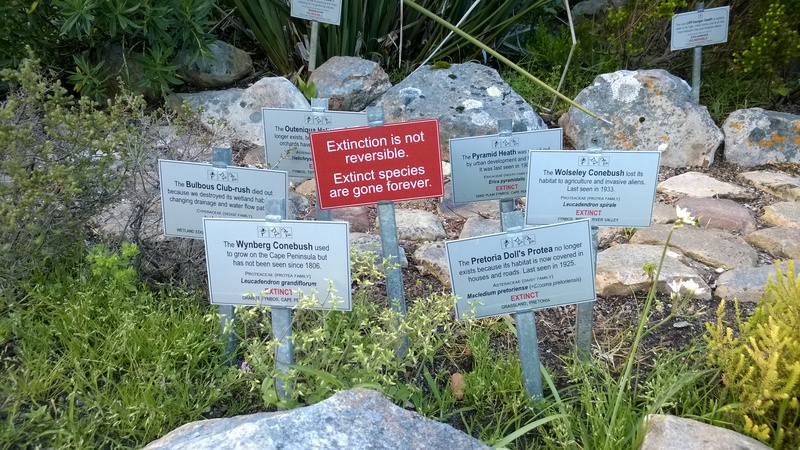 The Garden of Extinction is situated near Gate 2, close to the gallery. 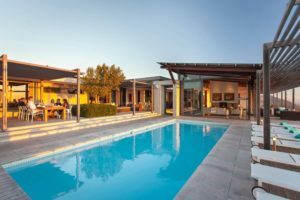 View Cape Town accommodation options.